Rolair has been dedicated to the science of compressed air which has led them into the future for compressor manufacturing. Starting off in 1959, Rolair began to manufacture compressors for professional contractors. Rolair continues to be dedicated to their product; offering no other items other than compressors, like single and two stage portable gas air compressors, and the "Baby Bull" which is a single stage hand carry air compressor. Relying on decades of experience and knowledge, Rolair continues to manufacture quality electric and gas compressors that are utilized everyday in various construction fields. They take the time to make sure that the compressor meets their high quality standards before it is allowed to leave the assembly line. One such example is the FC1500 compressor. At 1.5 HP, it is powerful enough for light industrial use while still having the attractive portability and lightweight issues. If you are looking for a quality compressor from a dedicated company; trust Rolair to provide a quality compressor for less. 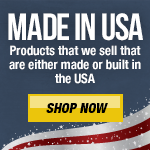 Rolair is just one of the numerous manufacturer lines offered at Tools-Plus.com. 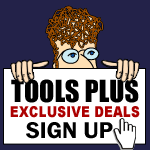 Shop with confidence knowing that Tools-Plus.com is an Authorized Internet Retailer. All contents are brand new from the factory. The factory packaging may be damaged but otherwise these are brand new tools with brand new tool warranties. "Open Box" Items originate for multiple reasons. Sometimes in our own Distribution Center (DC) mis-handling occurs and damage to the packaging occurs. Especially in the cold months. Plastic wrapping gets cold, brittle and breaks away. Within our DC, during "front line" replenishment from overstock locations, damage to packaging occurs and tags get pulled off. Also in order to maintain the highest levels of service to you the customer, we do periodic random checks of items for all of the above. Open box items are not necessarily always in a "box". They also include items that are wrapped, bagged, etc. and who's packing has been opened. Open box items have limited quantities on hand and we can't guarantee their availability. We sell these items on a first come, first order basis. Generally we have quantity on hand if you see an order button. But because of website limitations we are not able to update these item pages up to the minute. You will be notified as soon as we download your order if we do not have availability.